Featured: Twenty-eight employers, ranging in size from small business owners to local governments, state and federal agencies, along with 413 area residents, participated in a successful major job fair held at the Michael Dustin Sekula Memorial Library on Thursday January 25, 2018, the Edinburg Economic Development Corporation has announced. 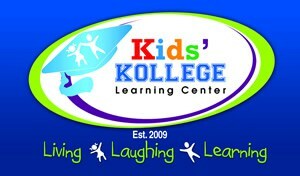 The event, which was held from 8 a.m. to 1 p.m., was free and open to the public. Also at no charge to area residents were a Résumé Writing Workshop held on Tuesday, January 23, 2018 and a Job Interview Workshop which took place on Wednesday, January 24, 2018. The workshops and the job fair were organized by the Edinburg EDC, which is the jobs-creation arm of the Edinburg Mayor and Edinburg City Council, the City of Edinburg, the University of Texas Rio Grande Valley, and Workforce Solutions. There was no charge to the 28 employers who participated in the job fair. 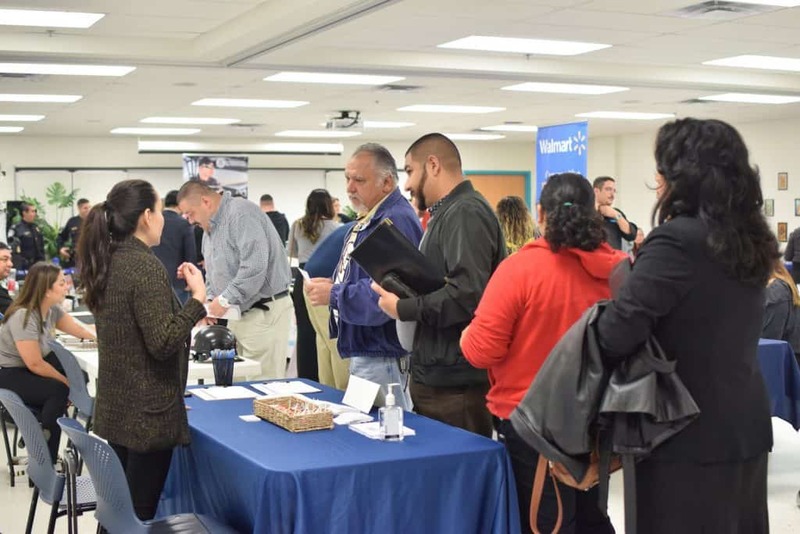 “The Edinburg EDC job fairs are designed to make it easier and more convenient for employers and prospective employees to get together,” said Jennifer Cabrera, who leads the Edinburg EDC’s marketing efforts. “The workshops and job fair were for every kind of person, from people who want to get a job for the first time, to individuals who are already employed, but are looking for a better job or a different career.” Leticia S. Leija, Director of Library & Cultural Arts, said the city library staff takes great pride in hosting the employment gathering. 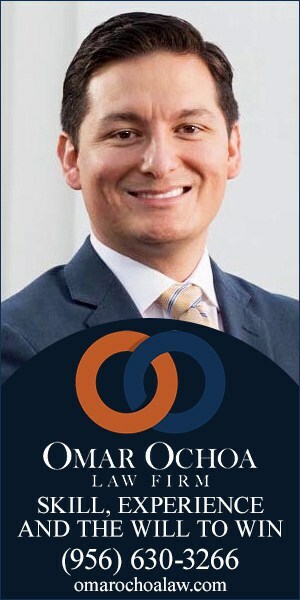 “The Michael Dustin Sekula Memorial Library is committed to empowering our community, and by providing these Job Readiness workshops, in conjunction with the UTRGV Career Center, and then following up with the Job Fair coordinated with the Edinburg EDC and WorkForce Solutions, two dedicated partners, we help provide our residents with a life-changing opportunities,” said Leija. Two of the six applicants who were interviewed on Tuesday, January 28, 2018 for the position of Executive Director, Edinburg Economic Development Corporation, will be back for further consideration by the Edinburg EDC Board of Directors during a special meeting, set to begin at 6 p.m. at Edinburg City Hall, on Wednesday, January 31, 2018. 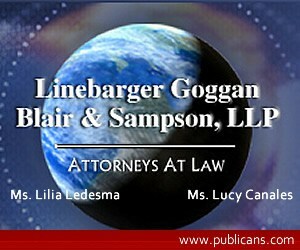 The interviews will take place, as allowed by state law, in executive session, along with three other items: deliberate the offers of financial or other incentives to business prospects; deliberate authorizing the Assistant Executive Director to amend the Development Agreement with Oceangate; and consultation with attorney. 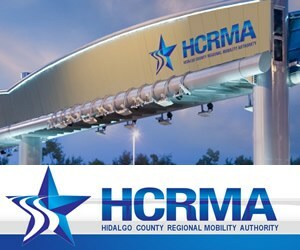 The meeting, whose agenda also is posted online (http://edinburgedc.com/wp-content/uploads/2018/01/Jan-31st-Agenda.pdf), will be held in the Council Chamber at Edinburg City Hall, which is located at 415 W. University Drive. The Edinburg EDC Board of Directors is comprised of City Councilmember Gilbert Enríquez as President, Edinburg School Board Trustee Miguel “Mike” Farías as Vice-President, Isael Posadas, P.E., as Secretary/Treasurer, and Julio César Carranza and Noé Sauceda, Ph.D. as Members. Featured: Dr. John H. Krouse, Dean of the University of Texas Rio Grande Valley School of Medicine and Vice President for Health Affairs, participated with state and federal lawmakers in a panel discussion on Tuesday, November 21, 2017 hosted by The Texas Tribune on healthcare reform. In this image, Krouse addresses Evan Smith, CEO and co-founder of the Texas Tribune at the Edinburg Conference Center at Renaissance. 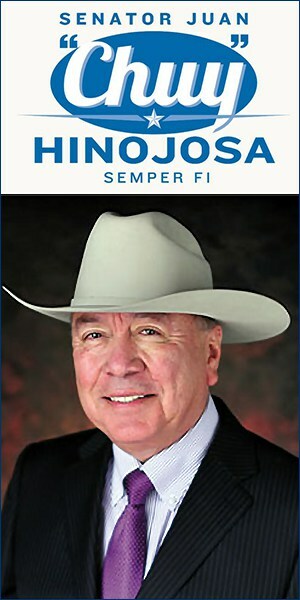 Other participants in the event were Sen. Juan “Chuy” Hinojosa, D-McAllen, Rep. Óscar Longoria, D-Peñitas/La Feria, and Congressman Filemón Vela, D-Brownsville. On Wednesday, January 31, 2018 from 11:30 a.m to 1 p.m., Krouse will be the featured speaker for the Public Affairs Luncheon, also at the Edinburg Conference Center at Renaissance, 118 Paseo Del Prado, hosted by the Edinburg Chamber of Commerce. The cost to attend the luncheon is $25 per person or $250 for a table of 8, and includes a hot lunch, beverage and dessert. For more information on sponsorships or to make a reservation, interested individuals may call the Edinburg Chamber of Commerce at 956/383-4974. 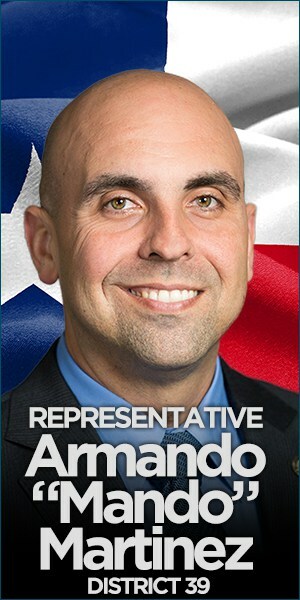 The Edinburg Mayor and Edinburg City Council, along with the Edinburg Economic Development Corporation and its Board of Directors, lobby the Texas Legislature and the UT System Board of Regents on matters that benefit and protect UTRGV and its School of Medicine, which have major campuses in the city. The Board of Directors of the Edinburg Economic Development Corporation on Tuesday, January 23, 2018, is scheduled to conduct interviews for the position of Executive Director, and possibly take action for the hiring of the new administrative leader of the organization. 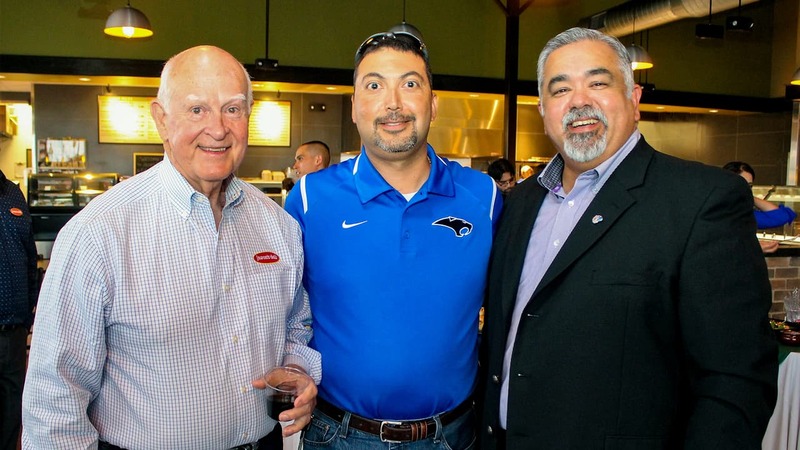 The Edinburg EDC is the jobs-creation arm of Mayor Richard Molina, Mayor Pro-Tem David Torres, Councilmember Homer Jasso, Jr., Councilmember Gilbert Enríquez, and Councilmember Jorge Salinas. The Edinburg EDC Board of Directors is comprised of City Councilmember Gilbert Enríquez as President, Edinburg School Board Trustee Miguel “Mike” Farías as Vice-President, Isael Posadas, P.E., as Secretary/Treasurer, and Julio César Carranza and Noé Sauceda, Ph.D. as Members. The session, which is open to the public, will be held in the Council Chamber at Edinburg City Hall, located at 415 W. University Drive, beginning at 6 p.m. The scheduled interview process for the new Executive Director, however, as authorized by state law, will take place in executive session, which is closed to the public. Any action – including no action – taken by the board of directors on all executive session items would have to be announced in public. Following a recent vacancy in the position of Edinburg EDC Executive Director, the leadership for many of the organization’s administrative duties has been provided by Nelda Ramírez, the Assistant Executive Director. 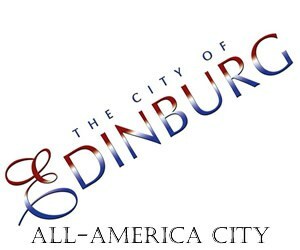 The agenda for the Tuesday, January 23, 2018 Edinburg EDC Board of Directors meeting is posted in front of Edinburg City Hall and online at http://edinburgedc.com/meetings-agendas/. 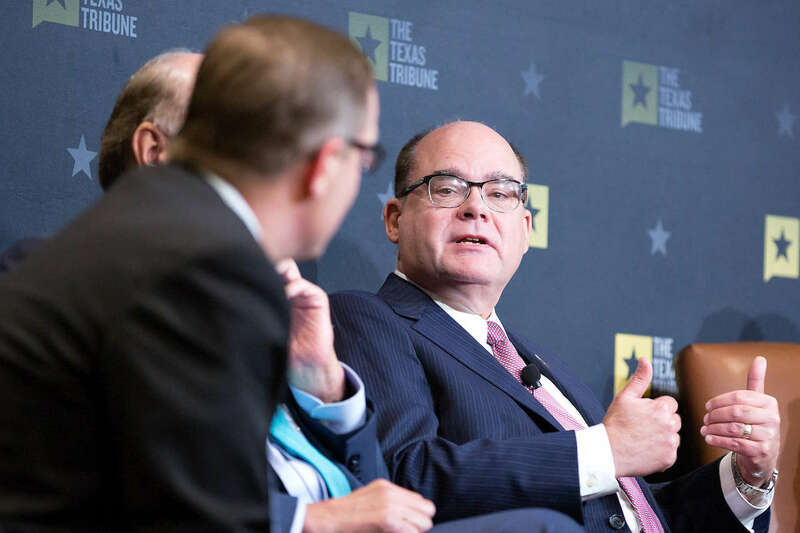 Dr. John H. Krouse (at center), Dean of the University of Texas Rio Grande Valley School of Medicine and Vice President for Health Affairs, participated with state and federal lawmakers in a panel discussion on Tuesday, November 21, 2017 hosted by The Texas Tribune on healthcare reform. 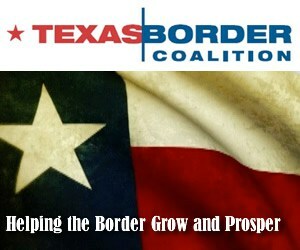 The event was held at the Edinburg Conference Center at Renaissance in Edinburg. 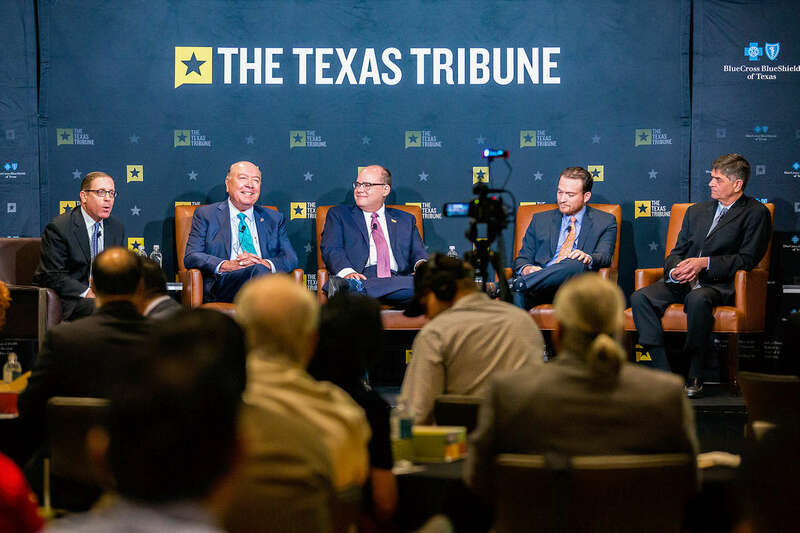 Featured, from left, are: Evan Smith, CEO and co-founder of The Texas Tribune; Sen. Juan “Chuy” Hinojosa, D-McAllen; Krouse; Rep. Óscar Longoria, D-La Joya; and Congressman. Filemón Vela, D-Brownsville. The Edinburg Mayor and Edinburg City Council, along with the Edinburg Economic Development Corporation and its Board of Directors, lobby the Texas Legislature and the UT System Board of Regents on matters that benefit and protect UTRGV and its School of Medicine, which have major campuses in the city. Total construction activities in Edinburg from January through September 2017, including more than $11.2 million for the month of September, reached almost $229 million, compared with almost $180 million during the first nine months of 2016, the Edinburg Economic Development Corporation has announced. During September 2017, new construction of commercial facilities and new construction of new homes and multi-family residences led the way, with the issuance of building permits for investments valued at almost $3.9 million and more than $3 million, respectively. Those year-to-date and monthly totals do not include the value of any building-related activities at The University of Texas-Rio Grande Valley and the UTRGV School of Medicine in Edinburg because the state government, not the city, oversees all construction at the Edinburg campuses. 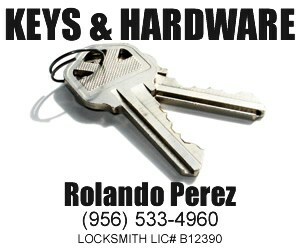 The building permits do not include the value of the land for the homes and buildings. In general, a building permit is legal permission given by the City of Edinburg, through the Code Enforcement Department, to erect, construct, renovate, maintain, or conduct any other specified activity on any building or structure, or on any installations or facilities therein. The term “building permit” includes but is not limited to building permits, electrical permits, mechanical permits, and plumbing permits. 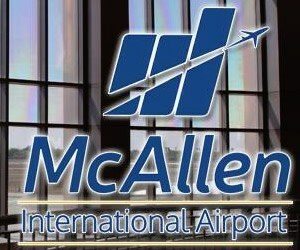 The top construction project in Edinburg for September 2017, not including the value of the land, are: $2,000,000 – South Texas International Airport at Edinburg, 1300 E. FM 490, Edinburg Airport Subdivision (Non-taxable/Addition/Remodel) and $1,600,000 – Texas Regional Bank, 203 S. Jackson Rd., Jackson Park Subdivision Phase 2 (Commercial New). 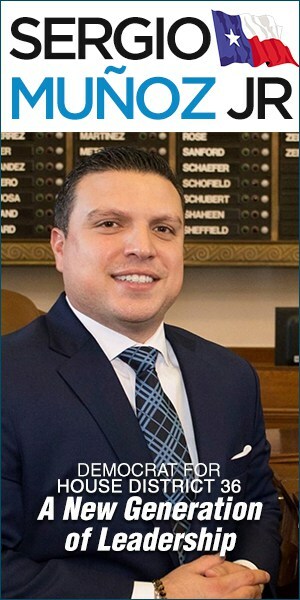 The Edinburg EDC, of which Agustín García is Executive Director, is the jobs-creation arm of the Edinburg Mayor and Edinburg City Council. 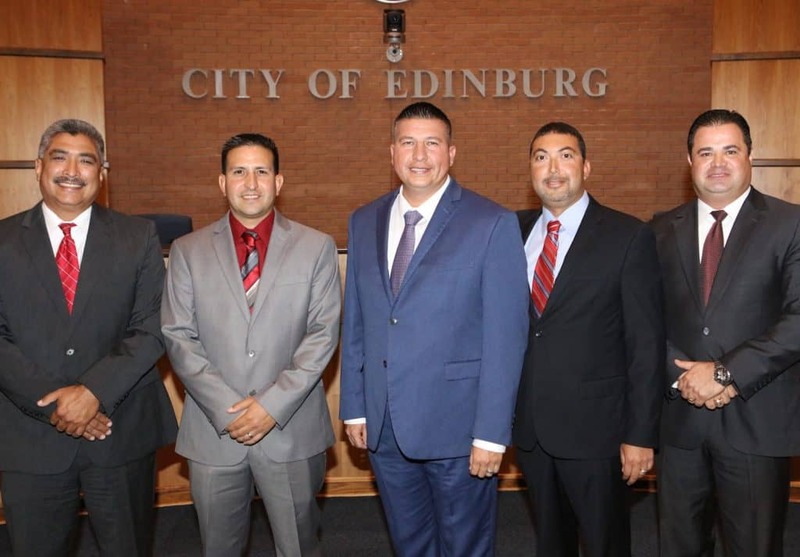 The Edinburg EDC Board of Directors is comprised of City Councilmember Gilbert Enríquez as President, Miguel “Mike” Farías as Vice-President, Isael Posadas, P.E., as Secretary/Treasurer, and Julio César Carranza and Noé Sauceda as Members. Featured, from left: Mayor Pro Tem David Torres; Councilmember Place 1 Jorge “Coach” Salinas; Mayor Richard Molina; Councilmember Place 2 Gilbert Enríquez; and Councilmember Place 3 Homer Jasso, Jr., following swearing-in ceremonies for Salinas, Molina, and Enríquez on Wednesday, November 15, 2017 in the Council Chamber at Edinburg City Hall. The new leadership of the five-member Board of Directors for the Edinburg Economic Development Corporation, which is the jobs-creation arm of the Mayor and Edinburg City Council, will hold its first public session in the Council Chamber at Edinburg City Hall beginning at 6 p.m. on Monday, November 20, 2017, the Edinburg Economic Development Corporation has announced. The meeting comes following action on Wednesday, November 15, 2017 by the Edinburg City Council, which includes the mayor and four councilmembers, where they unanimously approved the appointment of new individuals to serve on the Edinburg EDC Board of Directors. 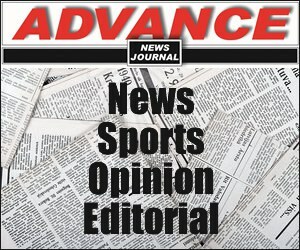 Those appointees are: Gilbert Enríquez, who is City Councilmember Place 2; Miguel “Mike” Farías, who is a current member of the Board of Trustees, Place 7, of the Edinburg Independent Consolidated Independent School District; Julio César Carranza, Developer and Mortgage Lender, Landmark Mortgage, LLC; Noé Sauceda, Owner, TeacherBuilder.com; and Isael Posadas, President, SDI Engineering, LLC. 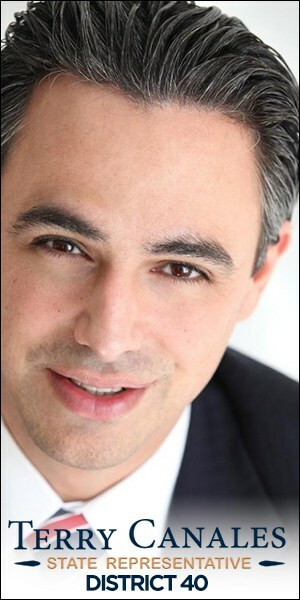 Agustín García is Executive Director for the Edinburg Economic Development Corporation. The following morning at the Edinburg Conference Center at Renaissance, the city will generate statewide positive publicity when Austin-based The Texas Tribune, which has the largest statehouse news bureau in the United States, will be holding a legislative round-up titled “A Conversation on Health Reform”. The Edinburg Conference Center at Renaissance is located at 118 Paseo Del Prado. From 11:30 a.m. to 1 p.m on Tuesday, November 21, 2017, Sen. Juan “Chuy” Hinojosa, D-McAllen, Rep. Óscar Longoria, D-La Joya, Congressman Filemón Vela, D-Brownsville, and John Krouse, Dean of the University of Texas Rio Grande Valley School of Medicine, will be the panelists who will give their views on the state and future of medical care. Evan Smith, co-founder and CEO of The Texas Tribune, will moderate this event, which is free and open to the public.